A Cookie is a file that is downloaded to your computer when you access certain web pages. 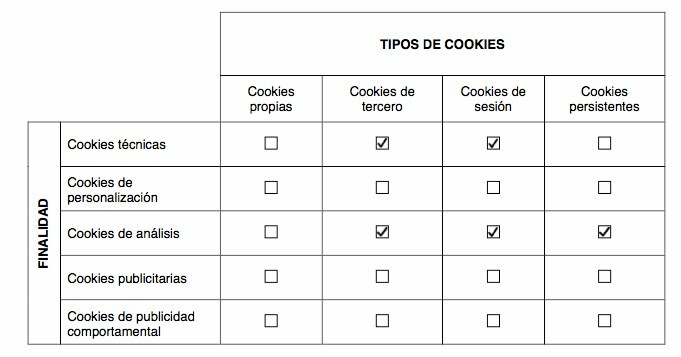 Cookies allow a website, among other things, to store and retrieve information about the browsing habits of a user or his or her computer and, depending on the information contained in it and the way in which they use their equipment, can be used to recognize to user. 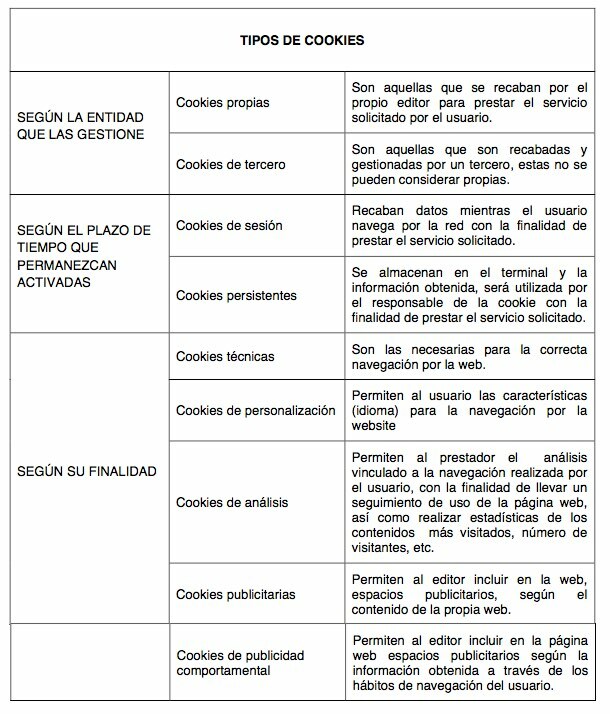 Google Analytics cookies are stored on servers located in the United States and are committed not to share with third parties, except in cases where it is necessary for the operation of the system or when required by law. According to Google does not save your IP address. Google Inc. is a company adhering to “Privacy Shield” which guarantees that all data transferred will be treated with a level of protection in accordance with European regulations. You can find detailed information in this regard through the following link: https://support.google.com/analytics/answer/6004245. Likewise, GRAN HOTEL DOMINE SLU informs the user that it has the possibility to configure its browser so that it is informed of the reception of cookies, being able to, if it so wishes, to prevent them from being installed on its hard disk. The owner of this website is GRAN HOTEL DOMINE SLU, with CIF B95624789 and registered office at GRAN VIA 40 3o 48009, BILBAO (VIZCAYA), registered in the Mercantile Register, in volume 5167, folio 129, sheet BI-57388 and inscription 2a. 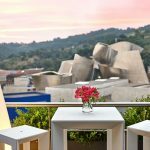 Contact email address: reservas@hoteldominebilbao.com. The navigation, access and use by GRAN HOTEL DOMINE SLU website confers the user status, which is accepted, from browsing the GRAN HOTEL DOMINE SLU website, all the conditions of use established herein without prejudice to The application of the corresponding regulations of legal compliance as the case may be. – The veracity and legality of the information provided by the user in the forms extended by GRAN HOTEL DOMINE SLU for the access to certain contents or services offered by the web. – The use of the information, services and data offered by GRAN HOTEL DOMINE SLU contrary to the provisions of the present conditions, Law, morality, good customs or public order, or that in any other way may involve injury to the Rights of third parties or the same operation of the website. GRAN HOTEL DOMINE SLU is not responsible for the content of the websites to which the user can access through the links established on its website and states that under no circumstances will it examine or exercise any kind of control over the contents of Other sites in the network. Likewise, it will not guarantee the technical availability, accuracy, truthfulness, validity or legality of sites outside of your property that can be accessed through the links. 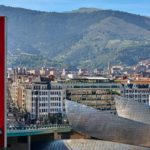 GRAN HOTEL DOMINE SLU states that it has taken all necessary measures to prevent any damage to users of its website, which may result from browsing its website. As a result, GRAN HOTEL DOMINE SLU is not responsible, in any case, for any damages that the user may experience on the Internet. GRAN HOTEL DOMINE SLU reserves the right to make the modifications that it deems appropriate, without prior notice, in the content of its website. Both in terms of the contents of the website, as well as in the conditions of use of the same, or in the general contracting conditions. Such modifications may be made through its website by any form admissible in law and will be enforced during the time they are published on the website and until they are validly modified by later ones. 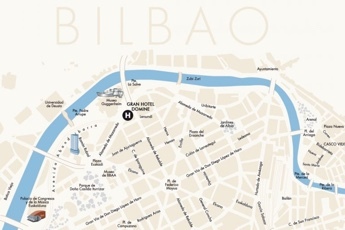 Certain contents of the GRAN HOTEL DOMINE SLU website contain the possibility of booking online. 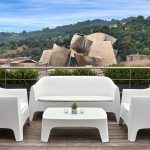 The use of these will require the reading and obligatory acceptance of the general conditions of reservation established for the purpose by GRAN HOTEL DOMINE SLU. Reservations are made through the booking portal www.gc.synxis.com the use of this portal will require the reading and mandatory acceptance of the general conditions of reservation established. In accordance with the provisions in force in the Protection of Personal Data, we inform you that your data will be incorporated into the treatment system owned by GRAN HOTEL DOMINE SLU with VAT B95624789 and registered office located at GRAN VIA 40 3o 48009, BILBAO ( VIZCAYA), in order to facilitate, expedite and fulfill the commitments established between both parties. In compliance with current regulations, GRAN HOTEL DOMINE SLU informs that the data will be kept for the period strictly necessary to comply with the precepts mentioned above. 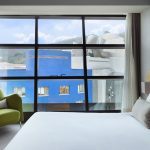 GRAN HOTEL DOMINE SLU informs that it will treat the data in a lawful, fair, transparent, adequate, relevant, limited, accurate and up-to-date manner. That is why GRAN HOTEL DOMINE SLU undertakes to take all reasonable measures to eliminate or rectify them without delay when they are inaccurate. In accordance with the rights conferred by the current legislation on data protection, you may exercise your rights of access, rectification, limitation of treatment, deletion, portability and opposition to the processing of your personal data as well as consent for treatment Of the same, addressing your request to the postal address indicated above or to the email reservas@hoteldominebilbao.com. You can go to the competent Control Authority to submit the complaint that you deem appropriate. Intellectual and industrial property GRAN HOTEL DOMINE SLU by itself or as a transferee, is the owner of all intellectual and industrial property rights of its website, as well as of the elements contained therein (by way of illustration, images, sound, audio Trademarks or logos, color combinations, structure and design, selection of used materials, computer programs necessary for its operation, access and use, etc. ), owned by GRAN HOTEL DOMINE SLU. They will therefore be works protected as intellectual property by the Spanish legal system, being applicable both Spanish and Community regulations in this field, as well as international treaties relating to the subject and signed by Spain. All rights reserved. By virtue of the provisions of the Intellectual Property Law, the reproduction, distribution and public communication, including its modality of making available, all or part of the contents of this website, for commercial purposes, In any medium and by any technical means, without the authorization of GRAN HOTEL DOMINE SLU. The user undertakes to respect the rights of Intellectual Property and Industrial ownership of GRAN HOTEL DOMINE SLU. You can view the elements of the portal and even print them, copy them and store them on your computer’s hard disk or on any other physical media provided it is, solely and exclusively, for your personal and private use. The user must refrain from deleting, altering, evading or manipulating any protection device or security system that is installed on the pages of GRAN HOTEL DOMINE SLU. GRAN HOTEL DOMINE SLU also reserves the right to file any civil or criminal actions that it deems appropriate due to improper use of its website and contents, or for non-compliance with these conditions. The relationship between the user and the provider shall be governed by current legislation and application in Spanish territory. If any dispute arises, the parties may submit their disputes to arbitration or go to the ordinary jurisdiction complying with the rules on jurisdiction and jurisdiction in this regard. GRAN HOTEL DOMINE SLU has its address in VIZCAYA, Spain. In compliance with Organic Law 15/1999 of December 13 on the Protection of Personal Data (LOPD) and Law 34/2002 of July 11 on Information Society and Electronic Commerce Services ( LSSI-CE), GRAN HOTEL DOMINE SLU informs the users, that has proceeded to create a profile in the Social Media Facebook, Twitter, Instagram, with the main aim of publicizing its products and services. The user has a profile in the same Social Media and has decided to join the page created by GRAN HOTEL DOMINE SLU, thus showing interest in the information that is published on the Web. By joining our website, you provide us with your consent for the Treatment of personal data published in your profile. The user can access at all times the privacy policies of the Social Media itself, as well as configure its profile to ensure its privacy. GRAN HOTEL DOMINE SLU has access to and treats that public information of the user, especially his contact name. These data are only used within the Social Media itself. They are not incorporated into any file. – Access: It will be defined by the functionality of the Social Media and the ability to access information from user profiles. 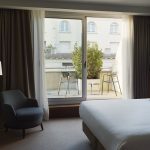 – Rectification: You can only be satisfied with respect to information that is under the control of GRAN HOTEL DOMINE SLU, for example, delete comments published on the page itself. Normally, this right must be exercised before the Social Media. – Cancellation and / or Opposition: As in the previous case, it can only be satisfied in relation to that information that is under the control of GRAN HOTEL DOMINE SLU, for example, to discontinue being part of the profile. – Access to public profile information. – Send personal and individual messages through the channels of the Social Network. – Updates of the status of the page to be published in the user profile. The user, once joined to the GRAN HOTEL DOMINE SLU page, may publish in the latter comments, links, images or photographs or any other type of multimedia content supported by the Social Network. The user, in all cases, must be the owner of the same, enjoy the copyright and intellectual property or have the consent of the affected third parties. Any publication on the page, whether texts, graphics, photographs, videos, etc., is expressly prohibited. Which violate or violate the rights of intellectual or industrial property, the right to the image or the Law. In these cases, GRAN HOTEL DOMINE SLU reserves the right to immediately withdraw the content, and may request permanent blocking of the user. GRAN HOTEL DOMINE SLU will not be responsible for the contents that a user has freely published. 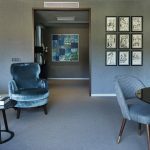 The images that can be published in the page will not be stored in any file by GRAN HOTEL DOMINE SLU, but they will remain in the Social Media. 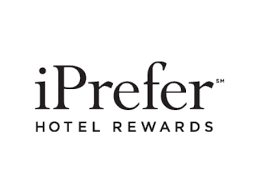 GRAN HOTEL DOMINE SLU reserves the right to make contests and promotions, in which the user can join the page. The bases of each of them, when using the platform of the Social Network, will be published in the same. Always complying with the LSSI-CE and with any other applicable regulation. The Social Media does not sponsor, endorse or administer, in any way, any of our promotions, nor is it associated with any of them. GRAN HOTEL DOMINE SLU will use the Social Media to advertise its products and services, in any case, if you decide to treat your contact details to carry out direct commercial prospecting actions, it will always be, complying with the legal requirements of the LOPD and the LSSI- EC. It is not considered advertising to recommend other users to the GRAN HOTEL DOMINE SLU page so that they too can enjoy the promotions or be informed of their activity.